FRIGHTENING plans for machine-gun-toting police patrolling the streets of London have been withdrawn by the British state, for the time being, following widespread public outrage. Reported The Daily Mail on October 28: "The plans would have seen police marksman on motorbikes and on foot carrying Heckler & Koch MP5 single-fire carbine guns and Glock semi-automatic pistols and joining other officers on regular patrols in three crime hotspots in Brixton, Haringey and Tottenham." It quoted Met Commissioner Sir Paul Stephenson as saying: "The way in which we have communicated this has led to the mistaken impression that we have created regular armed uniform foot patrols. "That is not the case and it is not going to happen. I am very proud of the unarmed civilian service tradition of the Metropolitan Police Service and am determined to uphold it." RESISTANCE fighters in Greece have carried out a spectacular attack on a police station in Athens. 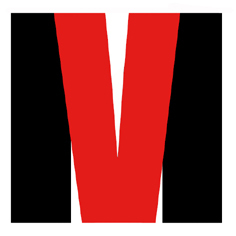 Gunmen on a motorcycle fired on the state stronghold with automatic weapons late on Tuesday October 27, wounding six police officers, authorities said. Said a report from Associated Press: "The attack occurred after Greece's new Socialist government promised to crack down on anarchist and far-left militant groups that have stepped up bombings and shootings in the wake of riots in Athens and other cities in December. 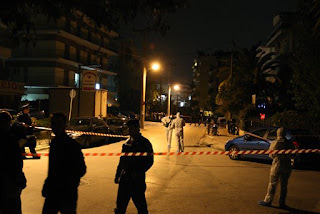 "Two officers were seriously wounded in Tuesday's shooting, which occurred at 9:40 p.m. (1840 GMT, 2:40 p.m. EDT) in the Agia Paraskevi area, north of the Greek capital, police said. Four other officers were hospitalized with less serious injuries, while a bystander was treated for shock, state hospital officials said." Two men on a motorcycle stopped and opened fire on police officers standing outside the station before driving away. The gunmen fired about 50 shots, authorities said. Officers from the police's anti-terrorism division gathered evidence at the targeted police station, while police stopped and searched vehicles across northern Athens - but failed to find the militants. Last December police murdered teenager Andreas Grigoropoulos in Athens, bringing to a head years of tension and unleashing popular fury against the corrupt capitalist regime, which seems to have changed little since the 'socialist' election victory. GOOD news from Iceland - McDonald's is to close its business there because the country's financial crisis has made it too expensive to operate its franchise. The US-based fast food giant said its three outlets in the country would shut - and that it had no plans to return, reported the BBC on October 27. Besides the economy, McDonald's blamed the "unique operational complexity" of doing business in an isolated nation with a population of just 300,000.
Who knows - maybe Britain will be next. THE SINISTER role of Big Business behind Britain's political police has been exposed in an article in The Guardian today, October 26. Anyone who dares challenge the corporate consensus by even peaceful protest is now categorised as a "domestic extremist" by the state and subjected to surveillance and investigation as if they were involved in criminal activity. 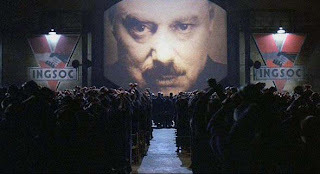 And the head of one of the main Gestapo-style units has admitted that the capitalist fat cats themselves were behind this stepping-up of the elite's war on free speech and democracy. Superintendent Steve Pearl of the National Extremism Tactical Co-ordination Unit (Netcu), said his unit was set up in Huntingdon, Cambridgeshire in 2004 by the Home Office which, Pearl said, was "getting really pressurised by big business – pharmaceuticals in particular, and the banks – that they were not able to go about their lawful business because of the extreme criminal behaviour of some people within the animal rights movement." Since then, its role has expanded to take in environmental and other protesters. Comedian Mark Thomas is one of those who found himself a target of the thought police, with his photo appearing on a "spotter card" of protesters used by the cops at an anti-militarist protest, despite the fact that he has no criminal convictions. He writes in The Guardian: "The very phrase "domestic extremist" defines protesters in the eyes of the police as the problem, the enemy. 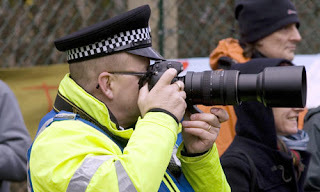 Spying on entire groups and organisations, and targeting the innocent, undermines not only our rights but the law – frightfully silly of me to drag this into an argument about policing, I know. "A police spokesman has said that anyone who finds themselves on a database "should not worry at all". When a spokesman for the three secret units will not disclose a breakdown of their budgets, and two of the three will not even name who heads their operations (even MI6 gave us an initial, for God's sake), then the words "should not worry at all" are meaningless. Indeed, when the police admit that someone could end up on a secret police database merely for attending a demonstration, it is exactly the time to worry." PROTESTERS clashed with police in Poznan, Poland on Friday October 23, when almost 4,000 workers from different trade unions took to the streets, backed by anarchist groups. About 500 people are going to be fired from the Cegielski factory. But while the reason cited was the so-called economic crisis, people in Poland, as elsewhere, are waking up to the fact that this is being used as a convenient excuse to screw the workforce yet further and erode hard-earned rights. Angry scenes saw chants such as “A worker dismissed, a boss hanged!” and “Capitalism isn't working! Factories under the control of workers!”, reports Polish website rozbrat.org, which also features links to dramatic video footage of the conflict. The Rhythms of Resistance samba group from Poznan supported the demo with their rhythms. A banner saying “A worker dismissed, a boss hanged” was dropped from one building on the route of the demo. 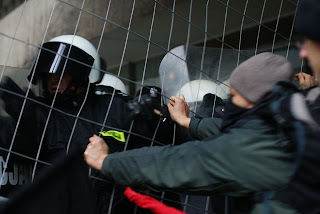 After the demonstration had finished, the cops on horses surrounded a group of anarchists and activists, as well as people from the Cegielski factory, and took their IDs. At the same time one of the Workers' Initiative activists interrupted a live TV interview given by the boss of the trade union Solidarnosc and said “The members of our union are being nicked over there, and people from Solidarnosc are doing nothing about it, where is your solidarity?!”. This event was transmitted live to the public TV news. None of the demonstrators was arrested. Three cops and one unionist were injured and hospitalized. POLICE armed with submachine guns are to be let loose on the streets of London on a routine basis, it has been announced. The cops from specialist unit CO19, formerly known as SO19, are the same ones who shot dead Jean Charles de Menezes at Stockwell station in 2005, after wrongly identifying him as a 'terrorist'. Since they got away with that one scot-free, there is little hope that they will feel the need to alter their trigger-happy "shoot first, ask questions later" attitude. Reported The Daily Telegraph on October 23: "The team of 18 constables, led by an inspector and two sergeants, will begin their patrols of Brixton, Haringey and Tottenham on Nov 9, following successful trial schemes. "The officers – some on motorbikes – will carrying out weapon "sweeps" of their neighbourhoods in an effort to deter gang members from carrying guns, and are also intended to be a reassuring presence for residents." Except the residents who get shot, presumably. HE MAY have won the Nobel Peace Prize, but Barack Obama is planning a new war - against rebel states in Latin America. That's the warning from veteran journalist and author John Pilger in his latest article in the New Statesman. Writes Pilger: "The Nobel Peace Prize-winner's latest war is largely secret. On 15 July, Washington finalised a deal with Colombia that gives the US seven giant military bases. "The idea," reported the Associated Press, "is to make Colombia a regional hub for Pentagon operations . . . nearly half the continent can be covered by a C-17 [military transport] without refuelling", which "helps achieve the regional engagement strategy". "Translated, this means Obama is planning a "rollback" of the independence and democracy that the people of Bolivia, Venezuela, Ecuador andParaguay have achieved against the odds, along with a historic regional co-operation that rejects the notion of a US "sphere of influence". The Colombian regime, which backs death squads and has the continent's worst human rights record, has received US military support second in scale only to Israel. Britain provides military training. Guided by US military satellites, Colombian paramilitaries now infiltrate Venezuela with the goal of overthrowing the democratic government of Hugo Chávez, which George W Bush failed to do in 2002. 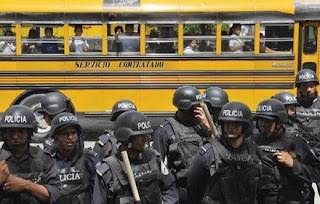 "Obama's war on peace and democracy in Latin America follows a style he has demonstrated since the coup against the democratic president of Honduras, Manuel Zelaya, in June. Zelaya had increased the minimum wage, granted subsidies to small farmers, cut back interest rates and reduced poverty. He planned to break a US pharmaceutical monopoly and manufacture cheap generic drugs. "Although Obama has called for Zelaya's reinstatement, he refuses to condemn the coup-makers and to recall the US ambassador or the US troops who train the Honduran forces determined to crush a popular resistance. Zelaya has been repeatedly refused a meeting with Obama, who has approved an IMF loan of $164m to the illegal regime. The message is clear and familiar: thugs can act with impunity on behalf of the US." 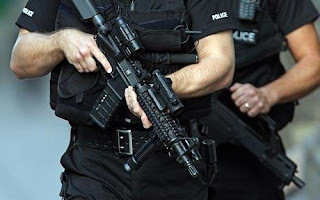 THE SINISTER role of an armed police force funded by the nuclear industry has been exposed by a report in The Guardian. The Civil Nuclear Constabulary is not just about physically protecting nuclear power stations, but is also carrying out a Gestapo-style war against political opponents of the controversial industry. Reveals the newspaper's report: "The force is authorised to send informers to infiltrate organisations and to conduct undercover surveillance under the Regulation of Investigatory Powers Act 2000 (RIPA). 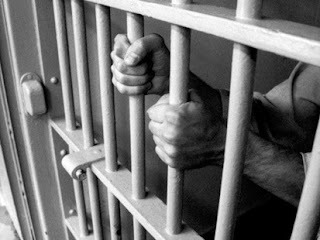 It is also permitted to obtain communications data such as phone numbers and email addresses." 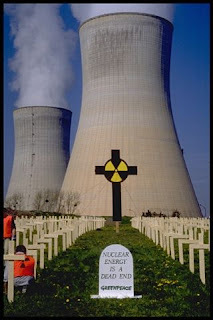 It also quotes Sir Christopher Rose, the chief surveillance commissioner, as saying: "The strategic aims of the constabulary remain on the threat from terrorism and public disquiet over nuclear matters, including demonstrations/protests and criminal offences towards nuclear movements/installations." So "public disquiet" is now classed as a crime? This example reveals the truth behind policing in general. The police are not there to protect us, as it is always claimed, but instead to protect powerful vested interests from us, from our scrutiny and from our disquiet. "A SPOOF of Big Brother-style thought control" is how a media campaign group has described a BBC report on the United Nations. In its latest Alert, Media Lens details its correspondence with journalist Barbara Plett following her article 'Debuts and diatribes at the UN'. It told her: "Through an unsubtle mix of swoons and snarls we're told who are the 'good guys' and who the 'bad guys'. The BBC insists its journalism is carefully balanced with all personal opinions omitted - but this is not journalism, it is propaganda." Plett had written with breathless enthusiasm of the American head of state: "New US President Barack Obama set the stage with a sweeping speech announcing America's re-engagement with the UN. Coming after the winter years of the Bush administration, this was a gale of spring air." By contrast, the "quixotic colonel", Libya's Colonel Gaddafi, "embarked on a diatribe that rambled on for an hour-and-a-half." Plett added, regarding the UK's Prime Minister: "After the Libyan leader finally sat down, an indignant Mr Brown changed his speech to defend the founding principles of the UN." And as for the Iranian president: "Mr Ahmadinejad himself didn't mention Iran's nuclear programme in front of the assembly, nor did he seem distracted by walkouts to protest his denials of the Nazi Holocaust, and what many see as his fraudulent re-election. In typical style he lambasted Israel and the West for double standards, failed ideologies and imperial interventions." The Media Alert includes Plett's reply in which she speaks of "stains on the US record". Media Lens don't pick it up, but this is a joke in itself. Forget "stains". The whole US record in international affairs is one huge filthy slick of aggression and hypocrisy. And so is Britain's for that matter. THE dollar could be sidelined by a new currency for Latin America, following a summit held over the weekend. Says an article from World War 4 Report: "The seventh summit of the Latin American anti-imperialist bloc ALBA concluded Oct. 17 in Cochabamba, Bolivia, with resolute support for ousted Honduran president Manuel Zelaya, strong opposition to planned US military bases in Colombia—and an agreement to form a new international currency to make the region less dependent on the dollar. The new currency, named the sucre after José Antonio de Sucre, who fought for South America's independence alongside Simon Bolívar, is slated to be issued in coin form in 2010. "In a resolution on Honduras, ALBA members agreed "to apply economic and commercial sanctions against the regime that came to power as a result of a coup." The alliance called on the international community to reject the presidential election planned by Honduras' de facto government next month. "The statement also said rejected the "installation of military bases of the United States in Latin America and the Caribbean," saying they "endanger the peace, threaten democracy and facilitate the hegemonic interference" of the US in the region's affairs. "The government of Colombia must reconsider the installation of these military bases," the statement said. Venezuelan president Hugo Chávez added that the planned bases are a "threat to all of us." "The meeting also decided that the next ALBA summit be held in Cuba in December. 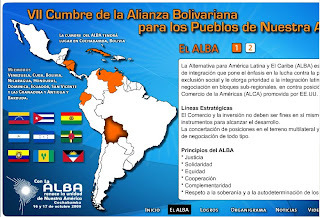 ALBA's member states are Venezuela, Bolivia, Cuba, Ecuador, Nicaragua, Honduras, Dominica, Saint Vincent and Antigua & Barbuda. Honduras was represented by Patricia Rodas, foreign minister of the ousted Zelaya government." BRITISH intelligence services created Fascism, it seems. Said a report in The Guardian on October 13: "Archived documents have revealed that Mussolini got his start in politics in 1917 with the help of a £100 weekly wage from MI5. "For the British intelligence agency, it must have seemed like a good investment. Mussolini, then a 34-year-old journalist, was not just willing to ensure Italy continued to fight alongside the allies in the first world war by publishing propaganda in his paper. He was also willing to send in the boys to "persuade'' peace protesters to stay at home. "Mussolini's payments were authorised by Sir Samuel Hoare, an MP and MI5's man in Rome, who ran a staff of 100 British intelligence officers in Italy at the time." This news has generally been regarded as a bit of a joke, but the implications could hardly be more serious. This came at a time before Mussolini had even invented Fascism. Let's look at that quote again: "Mussolini got his start in politics in 1917 with the help of a £100 weekly wage from MI5." In other words, Fascism would possibly not have existed at all without British intelligence input. And, of course, Hitler was inspired by the Italian example in creating his German version of Fascism, so that can be put down to MI5 as well - a heavy historical burden to shoulder. The early Nazis is Germany played a similar role to the Fascists, and their British-sponsored attacks on anti-war protesters in Italy. Proto-nazis played a key role in putting down the German Revolution for example. After the Second World War, British and American intelligence were involved in another secret campaign to combat radicals across Europe, with the Gladio network of far-right terror cells across the continent, under the excuse of preparing for possible Soviet aggression. AN OVERWHELMING majority of people are happy to be living in this industrial capitalist world. They're not too bothered about notions of "injustice" or about old-fashioned ideas of "privacy" or so-called "human rights". They don't object to new laws and new wars. This is what we are always told and thus we must accept it as true. Newspapers, radio shows, TV programmes and websites are created, presenting us with a perfect reflection of our feelings, our tastes, our loyalties, our dreams. Experts produce opinion polls to tell us what we think. What we should think. Of course there will always be those who insist on challenging and questioning this universal contentment, but we all know that they are nothing but isolated freaks, cranks, nobodies. Some of these misfits claim that that our view of the world is based on lies and manipulation, that a clever clique of the very few has created a mass illusion to enslave the world's population. How could this be true? How could we imagine a critical mass of humanity discontent with the new rulers of the world, sceptical about their claims to uphold democracy, dismissive of the 'moral authority' which they deploy to keep hold of resources, power and information? How could we foresee a near future in which the hypnotic spell is broken, the scales fall from a billion eyes and those who say 'Enough!' are revealed, all of a sudden, to be a gale force wind of revolt, a tidal wave of insurgent delight sweeping all before it, a minority so vast it will change everything?